Customers can create their own solutions using one of IMT's ultra-miniature wireless transmitters and a Marshall Mini-Broadcast POV Camera. Integrated Microwave Technologies (IMT) and Marshall Electronics have joined forces to offer a series of pre-certified wireless video production bundles for live broadcasts and sporting events that include IMT’s wireless video transmitters and Marshall’s POV cameras. 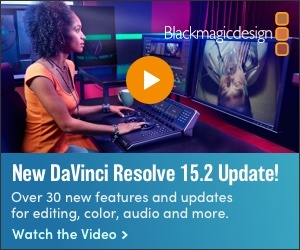 The new solution will be on display at the 2018 NAB Show. Customers can create their own custom solutions to include one of IMT's ultra-miniature wireless video systems - the IMTDragonFly or MicroLite HD COFDM wireless video transmitter - and a Marshall Mini-Broadcast POV Camera - CV502 (HD-SDI) or CV505 (HD SDI/HDMI). The bundles will provide quality live broadcasting solutions for capturing engaging points-of-view for supported broadcast programing of any kind. The integration includes full paint control of the Marshall camera, accessed through the IMTDragonFly and Microlite 2 web-based interface. Both companies said the idea is to offer customers a long-range, professional and effective wireless video and camera control solution at a competitive price. The combined solution provides an integrated POV system for both licensed and unlicensed users that are looking to capture high-quality and uninterrupted video. 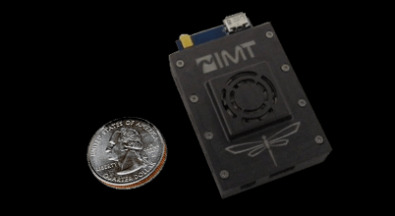 The miniature IMTDragonFly transmitter is available in a range of kits to fit various applications, including drones, sports, broadcast and body worn configurations. Its compact and lightweight form factor features minimized power requirements, making it ideal for drone and mobile use. It also includes HD/SD-SDI or optional HDMI inputs, and delivers up to 50mW of power in a package measuring in at 1.85 in. x 1.38 in. x .51 in. (50 mm x 35 mm x 13 mm) that weighs less than 1.2 oz. (34 g), providing long range, reliable HD video transmission. The miniature IMTDragonFly transmitter is available in a range of kits to fit various applications, including drones, sports, broadcast and body worn configurations. The MicroLite 2 is ideal for applications where high-quality live streaming video is needed. The transmitter features HD/SD-SDI and HDMI inputs with COFDM transmission in a small, lightweight chassis. It delivers up to 200mW of power, providing long range, reliable HD video transmission. The Marshall CV502 (HD-SDI) and CV505 (HD-SDI/HDMI) miniature cameras deliver up to 1920x1080p resolution at 60/59.94/50 frame rates. With a very low 0.2 lux (color) rating, the cameras capture accurate, sharp color images even under low-light conditions. The CV502 ships with an ultra-wide 3.7mm HD lens that is interchangeable to customize for specific applications. Marshall also offers a wide assortment of lens options for a fully customizable AOV and focal length per camera position within an installation. IMT and Marshall said they would continue to offer custom configurations, having learned from years of customer experience using both products together. (IMT is a reseller and distributor of Marshall cameras and accessories.) Options will include support for specialized integration enclosures and mounts.